The set quieted. The actors stood on their spots. Everyone’s breathing subdued waiting for the director about to shout, “action.” The second assistant camera stepped in front of the camera, his clapboard in hand, waiting. The director opened his mouth to shout. In the instant before he could get the words out of his mouth, the quiet set was filled with the sound of a hundred pound Klieg light crashing to the floor thirty feet below. Under the fallen light was the remains of the half crushed driver, Jerry Blackwell. A hundred pound Klieg light falls from a light bar thirty feet above a movie sound stage, crushing Jerry Blackwell. The clamp holding the light to the light bar shows hacksaw marks. Jake and Vanessa are hired by the widow to find out what happened. The answer lies somewhere between D.C. and L.A.. How will they find our who cut the clamp and why before the case grows cold? Kindle readers may purchase any of my books directly from smashwords.com in the “mobi” format simply by going to www.smashwords.com and search for Tony Flye. I know you will enjoy this the seventh offering in the Jake Curtis / Vanessa Malone Mystery Series. The best way to thank an author for their hard work, other than purchasing their books, is to leave an honest review at your favorite ebook sellers website. Thank you for purchasing my words and I hope you enjoy my books. The Primrose Hotel housed an impenetrable speakeasy, the only known entrance was through a sixth floor hotel room and a creepy elevator ride down to the sub-basement. A speakeasy that for almost eighty years harbored a dead body. Jake Curtis, an inactive US Marine turned private investigator and his wife, Vanessa Malone, a prominent Washington, D.C. attorney and partner in the private investigation firm, stumbled across a skeleton while touring the old hotel before its demolition. The cast of characters include the skeptical police detective, Tom Forsythe, who didn’t believe the sub-basement speakeasy nor the secret elevator in room 607 even existed until he rode the elevator down to the speakeasy. A wizened former plumber at the hotel who knew more than he let on. A former maid at the hotel who in the course of cleaning room 607 made a startling discovery. A retired maintenance man who often drank with John Thomas. John and his brother Emmett Thomas were both in love with Mabel and fought over her. John married Mabel after Emmett left town. John Thomas disappeared, supposedly with a maid. Emmett then married Mabel. Did Emmett murder his brother John? That’s what the police thought at the time. The hotel night manager knew something was unusual about room 607 and something unusual about a wooden door in the basement of a dress shop at the other end of the block that should have opened into dirt. The shy, gay former kitchen scullion at the hotel witnessed what happened to the missing maid and kept this deep, dark secret all these years. Jake and Vanessa pry the truth from the man about an unfulfilled love triangle that culminated in the solving of the seventy plus year old murder. Jake Curtis is shot and wounded on the sidewalk in front of police headquarters by an unknown assailant. Vanessa fires back twice at the shooter. The investigation leads to a old woman who knows the truth about what happened and is and determined to protect her family by taking the secret with her to her grave. After days of repeated questioning, the truth is painstakingly pried from the old woman’s lips revealing who the skeleton found in the abandoned speakeasy was, who killed the skeleton and who shot Jake Curtis. My new Jake Curtis / Vanessa Malone Mystery “Death in the Gilded Cage” is days away from being published. The final cover is shown below. “Death in the Gilded Cage” is the story of ruthless greed and the determination by a solitary woman and her unknown partner to achieve their prize. No deed is too outrageous for them to use in the pursuit of their goal. The story is told from the viewpoint of the killer through her diary entries and our illustrious private investigator and his lawyer wife. 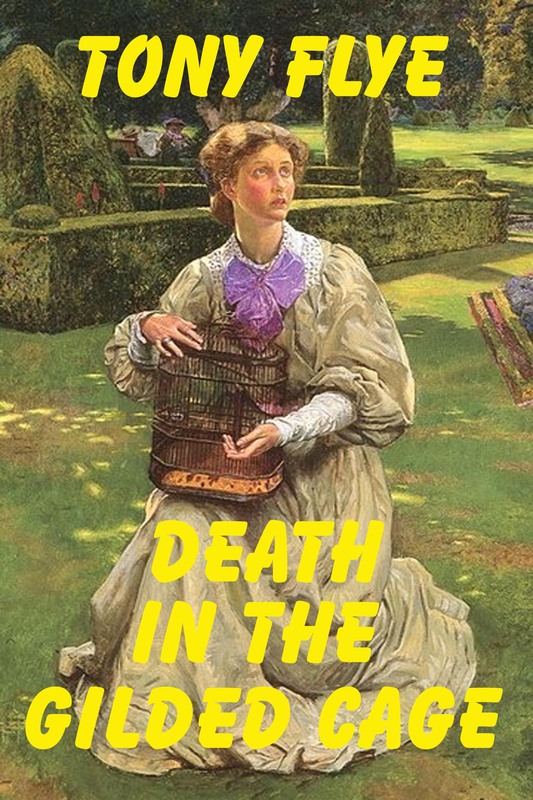 Death in the Gilded Cage is paved to keep, you the reader, on the edge of your seat. As a reminder, the best way to thank an author after reading their works is to leave a nice review and mention the work to your friends. Death in the Embassy is available from your favorite ebook seller NOW. For $7.99. I know you will enjoy finding out how Jake Curtis and Vanessa Malone prove something that didn’t happen, really didn’t happen. How do you prove that something did not happen? How do you prove a negative? This monumental task faced Jake Curtis and Vanessa Malone as they try to prove their beautiful client didn’t poison her ex-husband who dropped dead at her feet at a gala in the Italian Embassy in Washington, D.C. If the ex-wife didn’t do it, then who did? Was it his daughter who stood to inherit his wealth? Was it one of his two mistresses he was engaged to marry? The ex-husband is not the only person murdered in this love rectangle. The private investigator Isabella hired to look into the possibility of Alberto’s unfaithfulness found out Alberto had not only one mistress, but that he had two mistresses, both of whom claim to be his fiancee. When the PI told Isabella about Alberto’s cheating on her, she blocked him her mind and heart as she went to Reno, Nevada to obtain her divorce and returned back to DC three weeks before ex-husband Alberto’s death. Through interviews with Isabella’s daughter and Isabella’s closest friends, Jake and Vanessa determined Isabella didn’t have the opportunity to administer the poison to Alberto during the day. It was Isabella’s nights that proved to be more of a problem. Isabella’s Jewish mother suggested that if Jake and Vanessa couldn’t prove Isabella didn’t meet Alberto at night, then prove Alberto didn’t meet Isabella during the night. Jake and Vanessa confronted Alberto’s two mistresses. Jake and Vanessa’s investigation led them to a pair of biker bars, a shootout, subterfuge by a waitress, culminating in the chase of an escaped murderer through a busy detective squad room. I know you will enjoy Death in the Embassy a mystery of over 83M words for only $7.99 soon to be at your favorite ebook retailer. 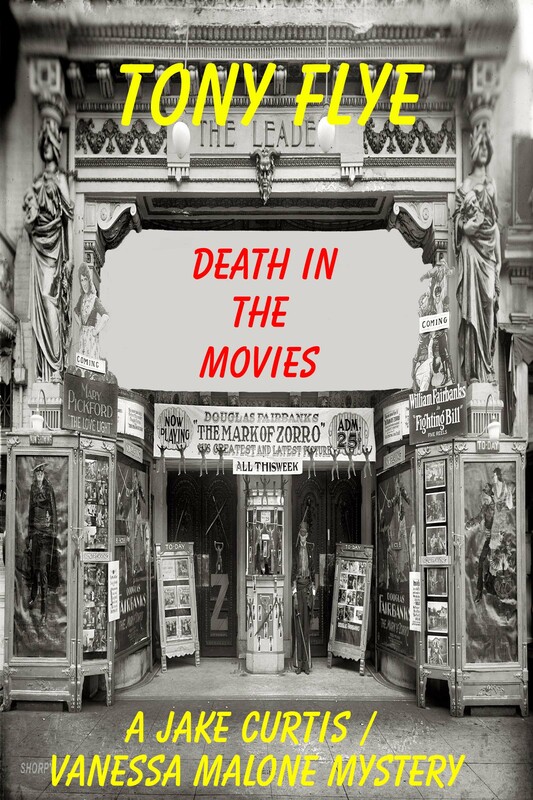 Kindle users can purchase Death in the Embassy from www.smashwords.com in the “mobi” format. Thank you for purchasing and reading my ten previous works. An excellent way of letting an author know you enjoy their works is to leave a review to let others know you enjoyed what you read. And as a reminder, I am working on the next installment in the Jake Curtis . Vanessa Malone Mystery Series, tentatively entitled Death in Double Cross. It will be a while before publication as the first draft is still unfinished. Death in Double Cross is the story of a woman who will stop at nothing to get what she wants. The cover for my fifth Jake Curtis / Vanessa Malone mystery, entitled “Death in the Embassy” is revealed here for the first time for your enjoyment. I am in the final edit and plan to have “Death in the Embassy” ebook available to you by the middle of May. How do you prove something didn’t happen? Death in the Embassy is the story Isabella Patrillo’s ex-husband of three weeks mysteriously dropping dead at her feet while she attends a gala at the Italian Embassy in Washington, D.C. When police detective Bob Murdoch looks hard at Isabella for the murder, Jake Curtis and his beautiful lawyer wife, Vanessa, who also happens to be his PI partner are called in to prove Isabella innocence. Not satisfied proving their client innocent, Jake and Vanessa have to find the real killer of Alberto Patrillo. I am also considering issuing my Christian Civil War era novels “Victory in Defeat” and “Forsaken” in a bundle package tentatively priced at $5.99 for the bundle. Let me know what you think. All of my ebooks are available from your favorite ebook seller. Kindle users may purchase any of my ebooks from www.smashwords.com in the “mobi” format. The sincerest way to let an author know you enjoyed the fruits of his labor and to thank him, or her, is to leave a review. Again, as always I thank you for purchasing and reading my books. My fifth Jake Curtis / Vanessa Malone mystery, entitled “Death in the Embassy” is almost through the first draft. Another chapter and the first draft should be finished. I hope to have the ebook available to you by the end of April. Isabella Patrillo’s ex-husband of three weeks drops dead mysteriously at her feet while she attends a swank party at the Italian Embassy in Washington, D.C. Jake Curtis and his beautiful lawyer wife, Vanessa, who also happens to be his PI partner are called in to prove Isabella didn’t do it. Not being able to leave things alone Jake and Vanessa have to find the real killer of Alberto Patrillo.